Donovan | Pop That Goes Crunch! We decided to add context to out annual “best of” lists instead of simply providing long lists with no discussion. So, our look at the Best 30 LPs of 2016 will come in three installments. Because good music does not necessarily hue to annual time periods, our list contains a couple of late-2015 releases that, in actuality, are 2016 LPs to us. By the same token, late-2016 releases will need to wait until next year. As always, some of the distinctions here sit on a rather fine line. Each of the albums of our list, however, is highly recommended. 30. Andy Klingensmith — Fantasy Island: On his first longplayer, Klingensmith applies contemporary rhythms to his basic psych-folk template to great effect. Listen and buy here. 29. Colman Gota — Tape: Gota’s hook-filled adult guitar rock reminds us that the phrase “alt rock” did not always induce eye rolls. Sample and buy here. 28. The Weeklings — Studio 2: The New Jersey-based band’s second stellar collection of Beatles-inspired rockin’ pop with spot-on harmonies, Rickenbacker guitars, sweet ballads and an ode to Chuck Berry. Sample and buy here. 27. Butch Young — Mercury Man: Young takes his inspiration from the later-period Beatles. The right doses of horns and orchestration add drama to his complex melodies. Sample and buy here. 26. Ed Ryan — Roadmap: Ryan’s old-school Power Pop never wears old or thin. These ten rockin’ pop tracks are guaranteed to put a smile on your face. Listen and buy here. 25. Gretchen’s Wheel — Behind The Curtain: Lindsay Murray’s second longplayer is more rocking than last year’s Fragile State, which also made our year-end list. Get this, though, for her voice, a beguiling mix of strength and fragility. Listen and buy here. 24. Mimi Betinis — Music Sounds: This is one of more varied albums on our list, as Bitinis effortlessly mixes and matches classic pop and rock stylings over this thoroughly enjoyable eleven-song set. Sample and buy here. 23. Steve Ison — On The Way Up: Ison’s sound is rooted in British singer-songwriters of the late-60s and early-70s, with indelible nods to Bowie and Donovan. There is not a bum track to be found. Listen and buy here. 22. Cheap Star — Songs For The Farrelly Brothers: This one sit in decidedly late-period Teenage Fanclub territory, with layered acoustic guitars and restrained harmonies. The version of the Lemonheads “Into Your Arms” found here might even top the original. Sample and buy here. 21. 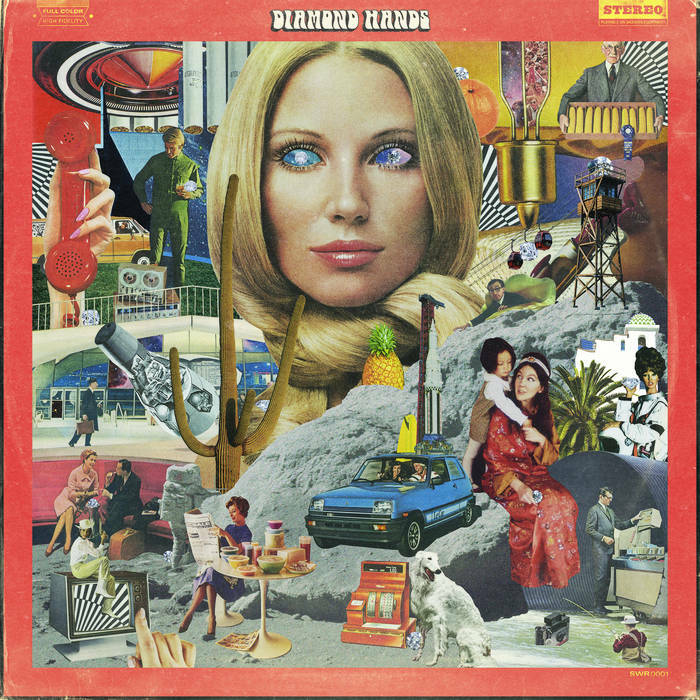 Diamond Hands — S/T: Not a single song on this eleven-track, hook-and-jangle-heavy romp through various 60’s rock styles reaches the three-minute mark. Is this retro? Hell yeah, and that’s a very good thing when laid down by the four capable hands that comprise this Los Angeles-based duo. Listen and buy here.